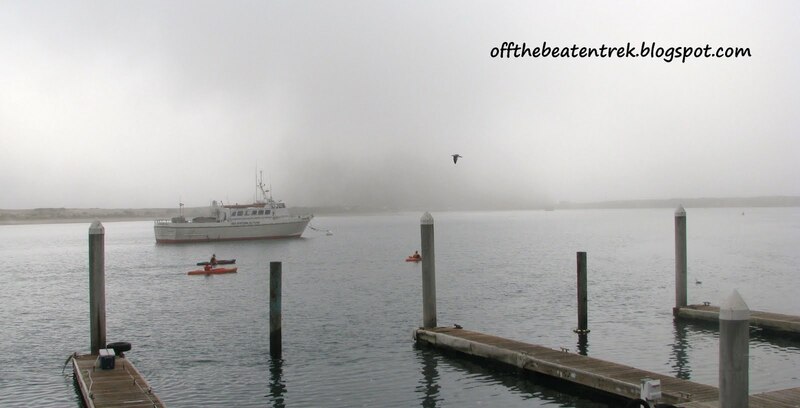 Foggy morning obscuring view of Morro Rock in Morro Bay, CA. From the moment the battle at work started, I already had a clear view prior to these people’s attempts to make me quit my current position by assaulting me with constructed, unfounded lies. They had tried many times to obscure my view of the future and had desired for my work to end. Darts of lies were constantly thrown. Mysterious plans to put hindrances on the road I was walking on were constructed. They wanted to satiate their hunger to change my path and thought they had their plots devised well. They wanted to see me tremble with fear and worries. They wanted to see me shed tears and perhaps, fall down and beg for their mercy. They shrouded any attempts of mine to bring truth and honesty with every encounter we had. Looking back since this battle started at work, I caught a glimpse of what the Lord had planned before me. After sustaining an injury from the hospital where I used to work for almost 10 years, He opened this door in a Correctional setting. This was the place where He taught me to grow and learn how to engage in many forms of spiritual warfare. I saw many injustices and corruption done by those people who puffed up themselves with pride as they took higher positions. Injustices against those hard-working nurses who were afflicted by physical illnesses and instead of helping them out, had chosen to harass them and stopped their careers right there. Instead of fighting back, most of them chose not to stay and had chosen the easy route: to surrender their badges and end their duties. I saw the unseen evilness by God’s grace. What I thought I would be dealing with like problems from inmates was wrong. I began to see that God trained me to be strong in His power because I would be dealing with a bigger problem. That was to face these corrupt people. I was never moved nor shaken by their schemes from the start… God had already provided His weapons way ahead of those ploys. They wanted to see me fall… But I was adept at that as I had fallen down to my knees many times as I intertwined the fingers of both of my hands in prayers. They constantly accused, assumed, and set traps. But God gave me a hedge around me, sprinkled with His blood. This was another attempt done when I met with them two days ago. They had put me on a leave for a long stretch of time. Another attempt to make me quit on my own as I discerned that move. But I wasn’t called by Him to be a “quitter”. I was a disabled vessel, enabled by His power! So, I chose to fight back. I chose not to take the easy way out that others had taken before me. I chose to fight, not only for me but for those who didn’t have a chance to avoid the traps they had placed before them. I chose to fight so that these evil deeds would be exposed in His light so that no one else could ever be victimized. I chose not to yield to their evil schemes because it was very clear from the beginning I invited Christ to live in me: “He has the best future for me!” I saw that clearly!!! 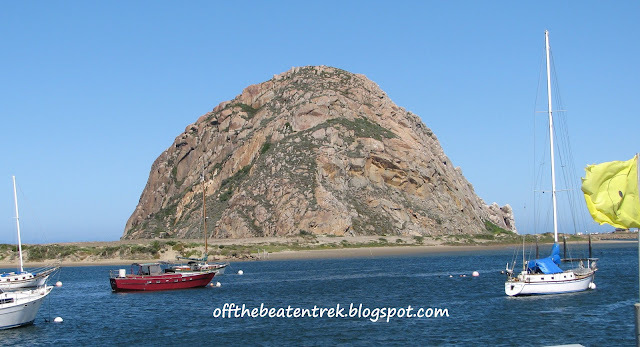 Morro Rock in Morro Bay, CA.